At the first visit to the project site, the building’s history was evident in the different building forms – from the 1886 original framed homestead to the 1930s Snow White Beauty Parlor block addition and the 1950s renovation. As opposed to scraping the house, the project recognizes the importance of maintaining and building upon the history of the site and neighborhood. The original traditional “house” shape was celebrated by revealing the 1888 framing to become the figurative and literal center of the house. The spine of the original roof soars above the light-filled, open plan and creates an interior courtyard. To further this concept, a framed multistory sculptural wall serves to unify all three floors of the modern addition and borrows the aesthetic of the existing framing. A terraced plan was utilized to capitalize on the city views, as well as inform a sense of space at each level, and the simple palette of materials, along with re-use of the existing structure, kept the overall building cost within a minimal budget. The result is a home which uses its history as the building blocks for its new and functionally contemporary style. We are pleased to announce that Framework has been added to the roster of the 2015 DMHT, hosted by Sunset Magazine and Modern Home Tours. 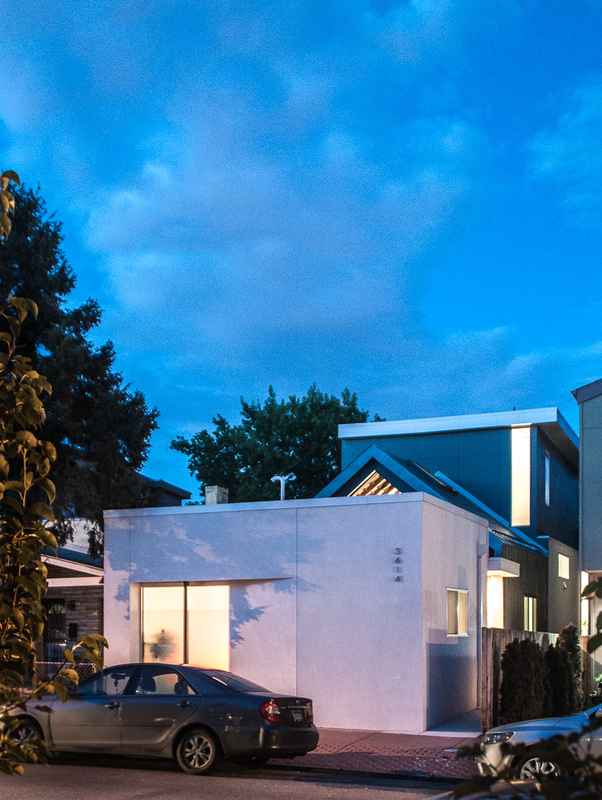 The LoHi residence will be one of seven homes featured on this year’s tour. Ticket-holders will be able the walk through the home, gain insight to the project, and meet the architect, Steve Lubowicki. The self-paced tour will take place on Saturday, August 22nd from 11am-5pm.